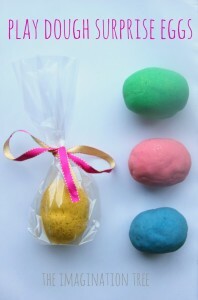 Make some gorgeous DIY Easter Sensory Eggs for Babies and Toddlers using easy to find materials! Perfect as an unusual gift idea, when there’s been enough chocolate already! And brilliant size and shape for little hands to safely hold, mouth and explore by rolling, shaking and tapping. I am SUCH an early years teacher still, in the sense that whenever I spot something unusual or with “potential” in the shops or junk yards I get so excited for the possibilities in play and learning! 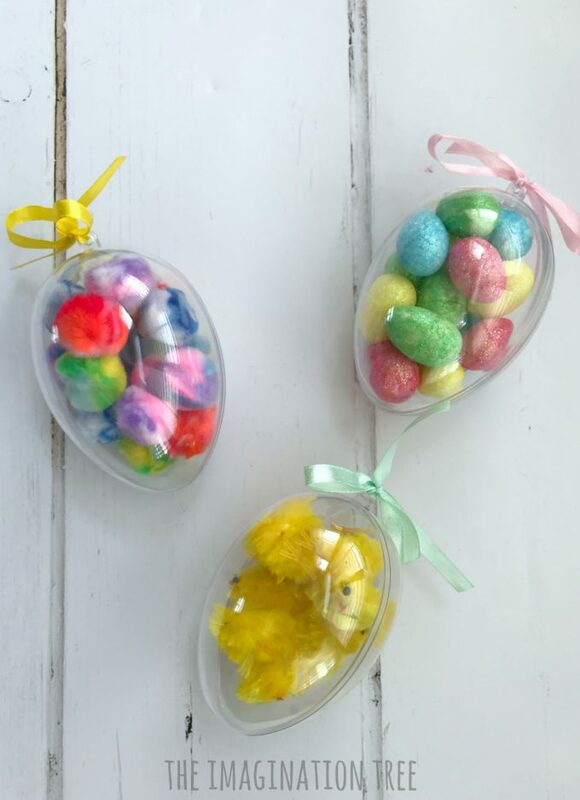 I saw these totally gorgeous clear plastic Easter eggs in a shop recently and knew they’d be brilliant for something. Here are some very similar ones I’ve found for you on Amazon if you’re keen to try this easy DIY project! Really, you could add anything at all to these to make a limitless range of possibilities! How amazing would small jingle bells be for example?! 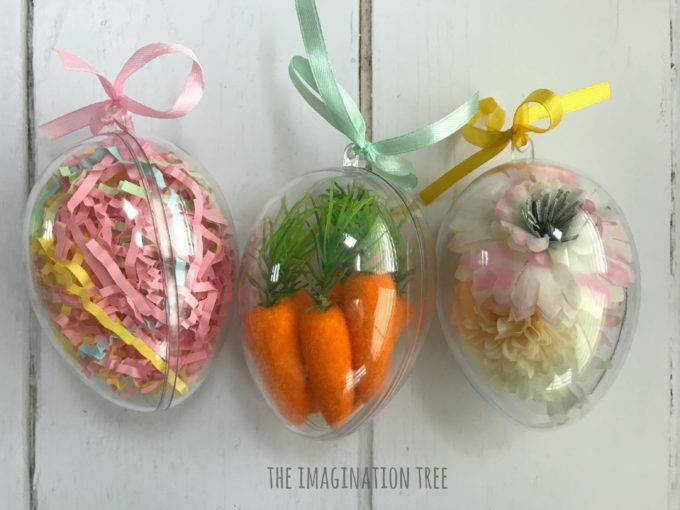 I took a look through our (extensive) Spring and Easter collection and found a really good range of small items that would fit inside the eggs. 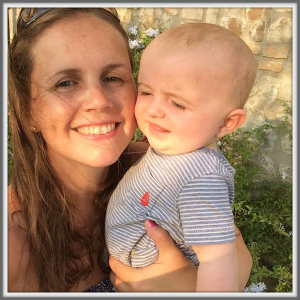 I was looking for a range of sensory inputs especially a variety of noises, shapes and colours. 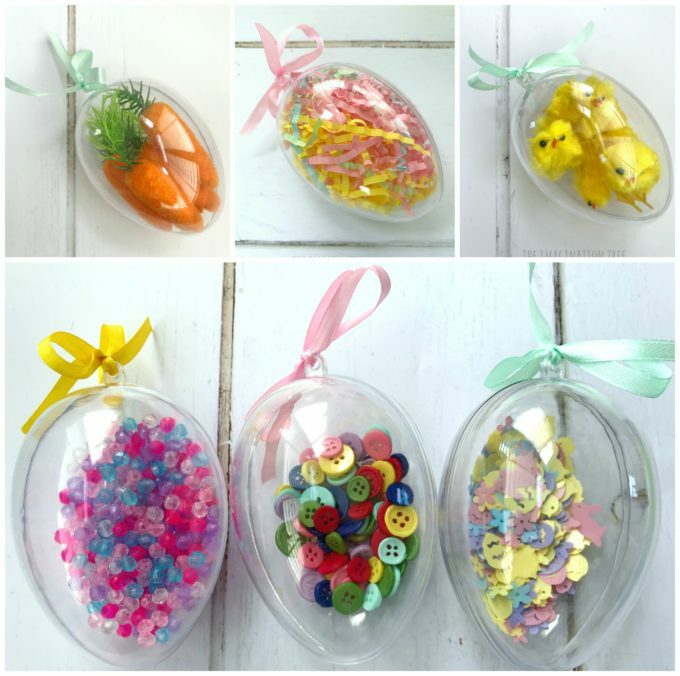 Then I simply added them to each egg and sealed them tight with glue. 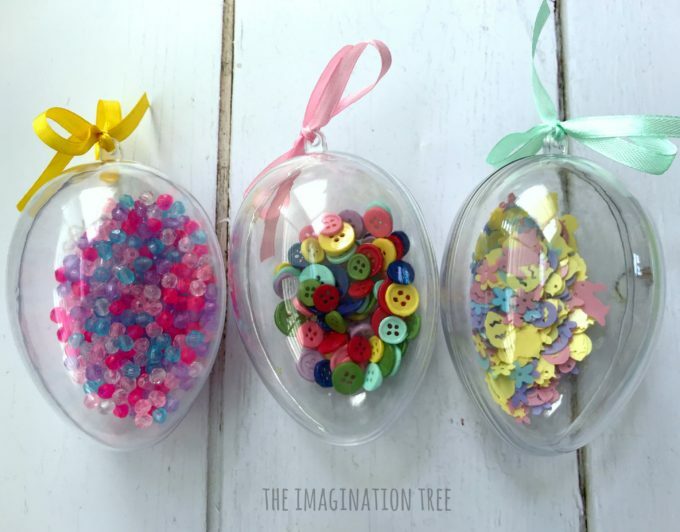 The beads, buttons, sequins, glittery eggs and shredded paper made a lovely range of sounds when shaken. All items tumbled and turned when rolled and shaken and provided interest to watch as shapes and colours moved around. 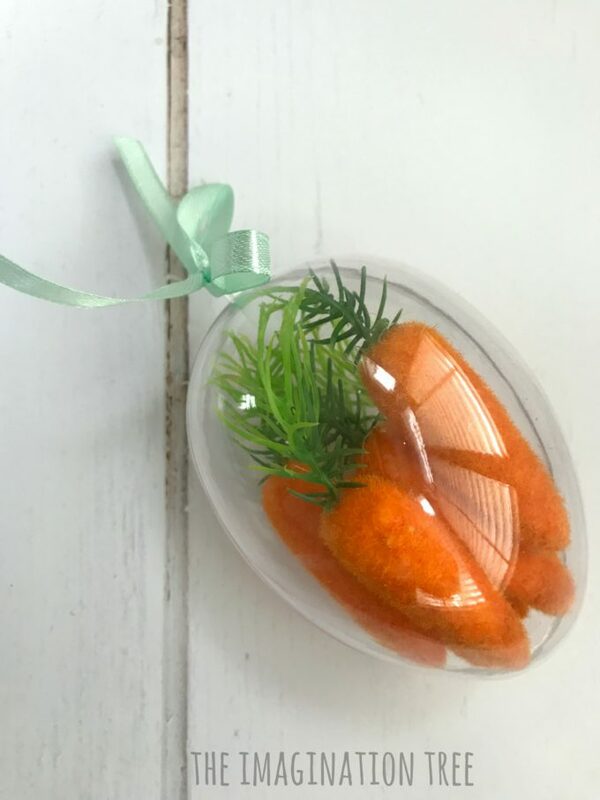 The carrots, chicks and flowers were my absolute favourites, just so perfect for an Easter theme. 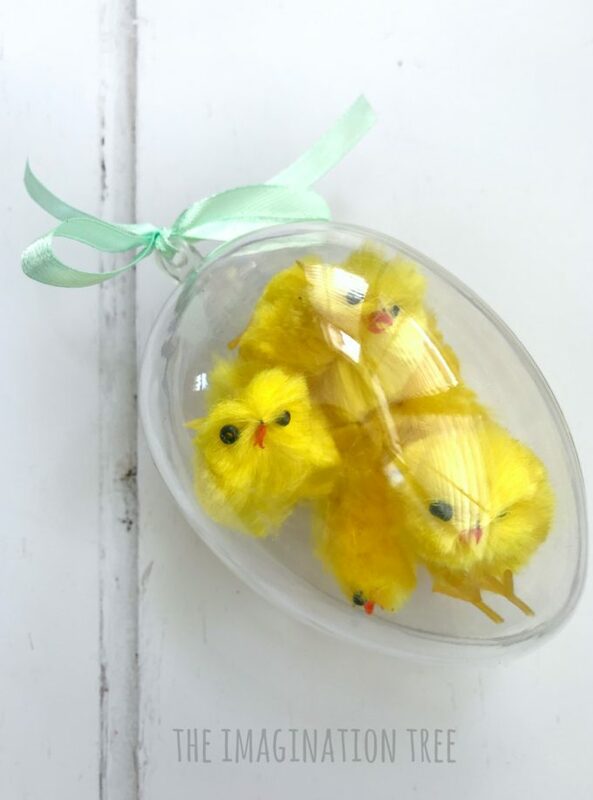 In fact they’d look good enough hung up as sophisticated Easter decorations in the home too! 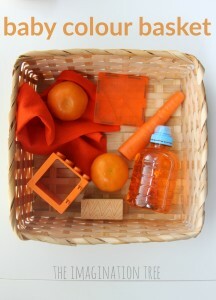 These can simply be placed in a basket and presented as a gift or to your own child to choose and explore. 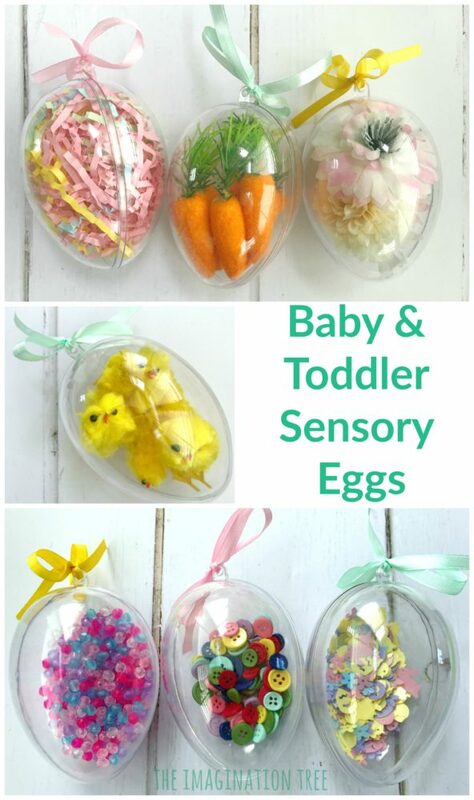 As soon as a child is old enough to interest with these small items safely I would encourage them to be explored with hands and toes so that they can be truly enjoyed for their sensory rich properties. 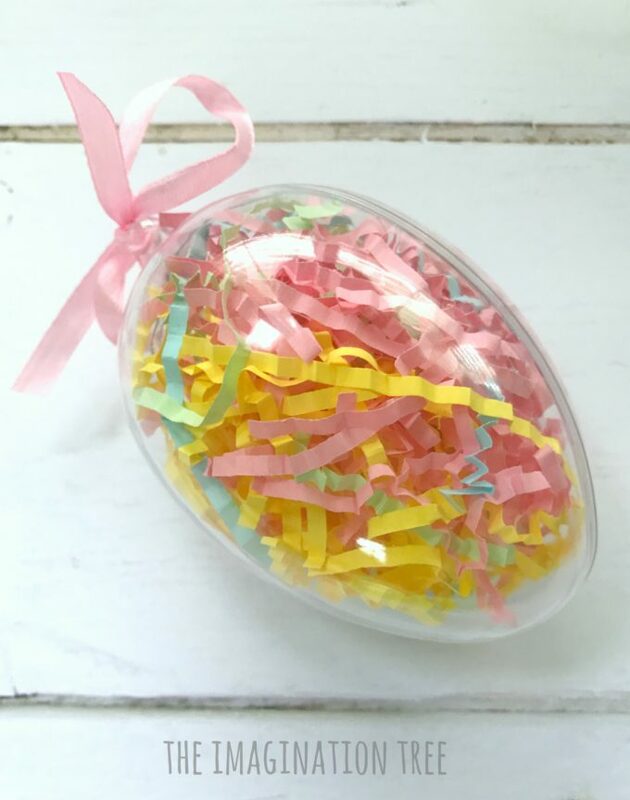 If you’re keen for your baby or toddler to try more sensory activities then I’d recommend that you try the shredded paper in larger quantities, perhaps in a kiddie pool or under-bed storage box, and let them feel and scrunch it! 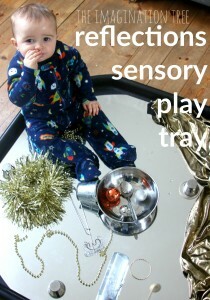 I have LOTS and lots of SENSORY PLAY IDEAS for you to try here in the archives, plus plenty of BABY PLAY and TODDLER PLAY IDEAS to keep little ones entertained easily with things found around the home! And plenty more SPRING IDEAS here for all things flowers, nests, growing and outdoor play related! 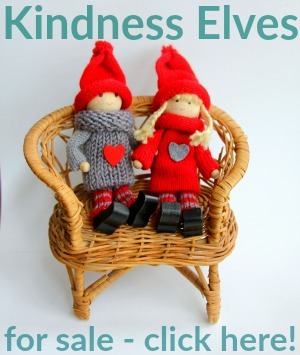 Thank you for visiting my site! 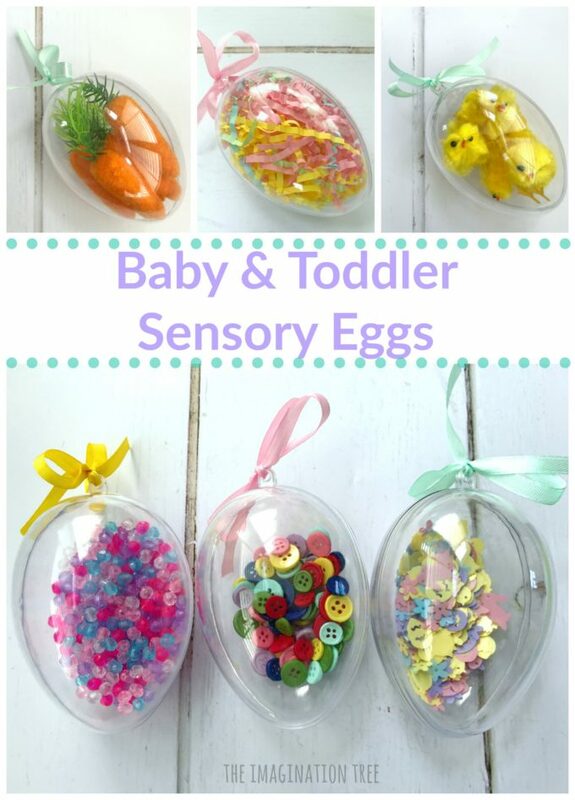 If you loved this Easter Sensory Eggs idea please do share on social media or pin it.